General complaints about moral decay, however frequent and even justified they may be, are of little use. This book does not complain; it acts. 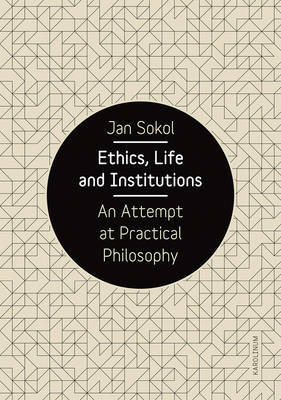 Jan Sokol's Ethics, Life and Institutions applies our ever improving knowledge in various fields to questions of morality in an effort to enhance our ability to discern different moral phenomena and to discuss them more precisely. With few exceptions, moral philosophy considers the acting person to be an autonomous, independent individual pursuing his or her own happiness. But in the context of social institutions for example, in workplaces it is often an organization's goals, not an individual's, that take precedence. In complex networks of organizations, morals take a different shape. Divided into three parts, this book begins by exploring basic notions such as freedom, life, responsibility, and justice, and their relationship to practical philosophy; looks to the main schools of Western thought in the search for a common moral foundation; and reintroduces the forgotten idea of biological and cultural heritage an idea that could prove fundamental in addressing our responsibility not only to human lives, but also to the natural world. In a closing analysis, Sokol brings all of these moral concepts to bear on problems connected to the growing complexity of institutions, offering hope for a practical philosophy for the modern world.